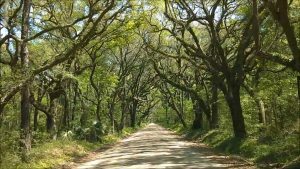 The Historic Ace Trail is located on a three acre site about 2 miles north of the intersection of US Hwy 17 and SC Hwy 303 in Colleton County. It is adjacent a CSX rail crossing in the Green Pond community. 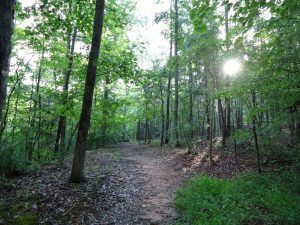 The trail is ideal for walking, biking, general exercise and bird watching. 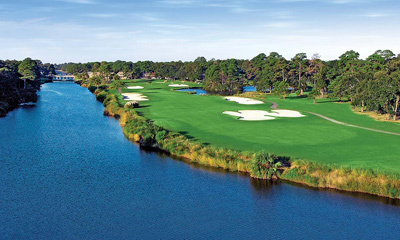 Palmetto Bay Rd., Hilton Head Island. 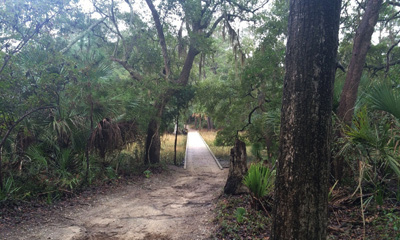 Hilton Head’s Audubon Newhall Preserve is open to the public at no charge from dawn to dusk daily. Jan. 21th – Oct. 31st. Sunrise to sunset. 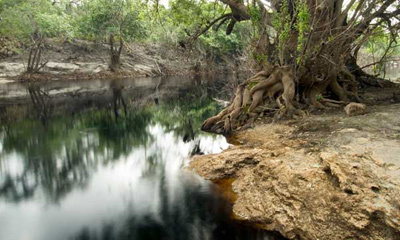 Located between the Ashepoo and South Edisto Rivers, off US Hwy 17 and approx. 2 miles east of Green Pond.11,055 acres includes 4419 acres of impounded marshland managed for waterfowl. Regulated hunting. Walking tour of Lowcountry Wetlands. 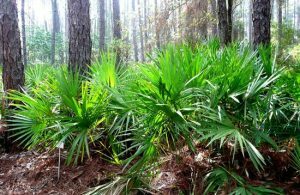 The 4,360.5 acre Botany Bay Plantation Wildlife Management Area (WMA) is located adjacent to the waters of the Atlantic Ocean in the southeast corner of Edisto Island. 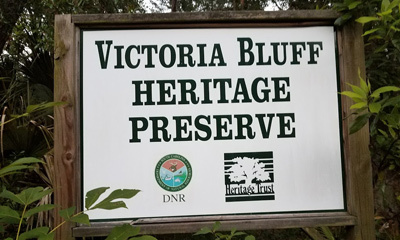 The area’s location near the North Edisto river places it within the boundary of the ACE Basin Focus Area, one of the largest remaining relatively undeveloped wetland ecosystems along the Atlantic Coast. (843) 869-2713. 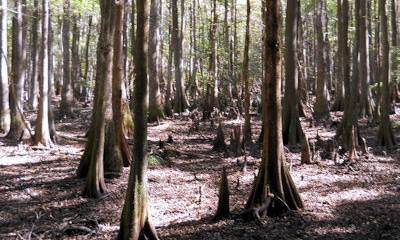 Conveniently located just five minutes off I-95, Colleton State Park’s Cypress Swamp Trail is a great place to stretch your legs and enjoy the SC Lowcountry. 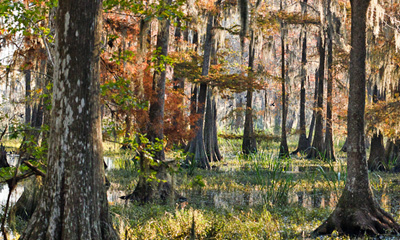 Pick up a self-guided nature brochure for this short, level, easy walking, loop trail. Numbered signs will help you identify a variety of trees and plants including cypress, poplar, hickory, sweetgum, maple, dogwood, birch, and magnolia. 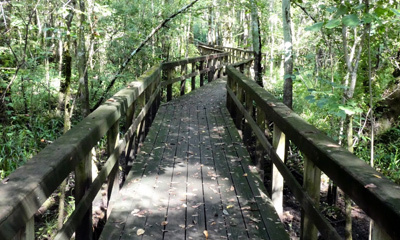 You can follow the canoe dock board walk spur trail to the dark water of Edisto River. Watch for a variety of birds, deer, turtles, snakes and other wildlife. Other amenities include a campground and picnic shelters. 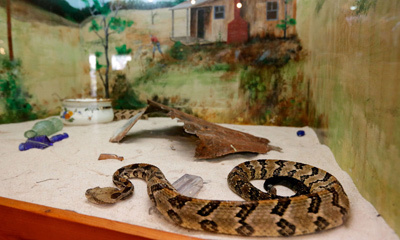 The serpenterium features snakes, alligator pits, turtles, lizards. You can view these beautiful creatures in both indoor and outdoor facilities. alligators and turtles swim and play in outdoor ponds in outdoor gardens, while other reptiles bask in the large indoor solarium. 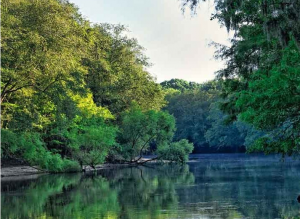 The Edisto River Canoe and Kayak Trail is a recreational gem comprised of a series of access sites and points of interest along a 62-mile stretch of the Edisto River’s Main Stem. 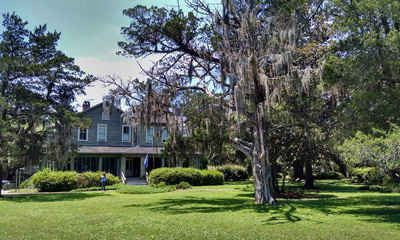 The trail starts at Green Pond Church Landing and meanders eastward past Colleton State Park. At roughly the halfway point in the trail, the river passes Givhans Ferry State Park. The trail officially ends at Lowndes Landing. 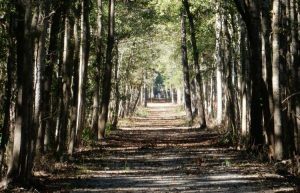 With ample camping and access throughout its length, the Edisto River Canoe and Kayak Trail offers a variety of single and multi-day trips for all ability levels. 211 Sawmill Creek Rd. off Hwy. 278. Located just east of the intersection of US Hwy. 278 at 50 Jarvis Creek Road. Freshwater pond fishing, floating dock, playground, grass meadow, picnic facilities, grills, swings, paved pathways, mulched trails and restrooms. Hampton’s Lake Warren State Park has three trails for outdoor enthusiasts. The Nature Trail winds through the woods and around the fishing pond. 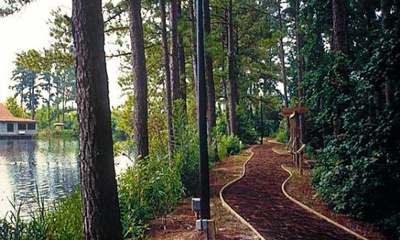 The Fitness Trail has 10 exercise stations. The Yemassee Trail follows a path along Lake Warren. Interpretive signs are placed throughout. Explore Hilton Head Island’s only 11 mile salt water lagoon system in a kayak or canoe for a one of a kind Lowcountry nature tour. Off Hwy 278 past Graves Bridge, Hilton Head Island. 4,052 acres that preserve the salt marsh and maritime habitat. 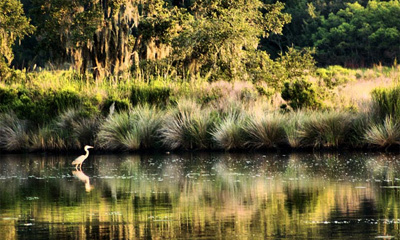 Pinckney Island National Wildlife Refuge offers a variety of opportunities to explore and enjoy the great outdoors from sunrise to sunset every day. You can observe and photograph wildlife, go fishing, or during the season, hunt white-tailed deer. 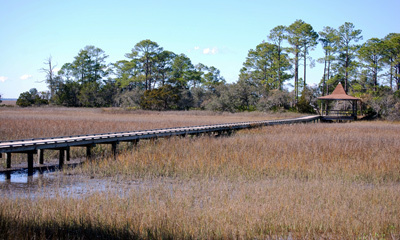 The Henry Robinson Boardwalk along Port Royal’s Battery Creek is a great place for a stroll. 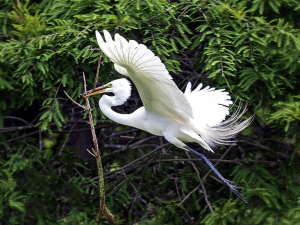 Enjoy the wildlife while walking along the vast waterway. 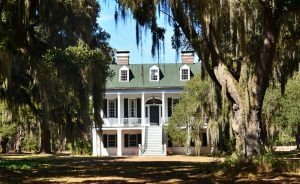 Located on the southern tip of Port Royal, Battery Creek flows into the Beaufort River. Search for shark’s teeth on the sandy beach. Boats and kayaks can be launched from a ramp into the river. The boardwalk is a popular place for strolling, crabbing and fishing. 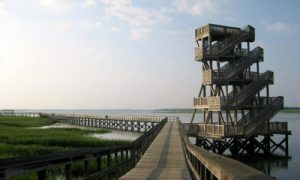 An observation tower is located near the end of the boardwalk. 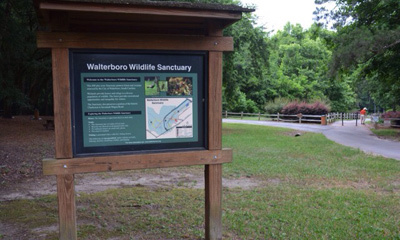 The visitor center and nature trail is located on Hwy 17, north of the Georgia border, near Hardeeville. The 3-mile drive through old rice field dikes can be accessed via Hwy 170. 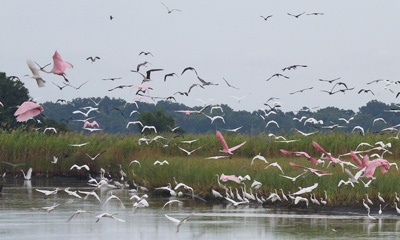 The refuge is home to over 7,000 acres of wetlands flora and fauna. 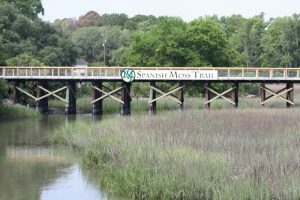 Beaufort’s Spanish Moss Trail is 10-mile-long hiking and biking trail that is a favorite outdoor recreation destination. 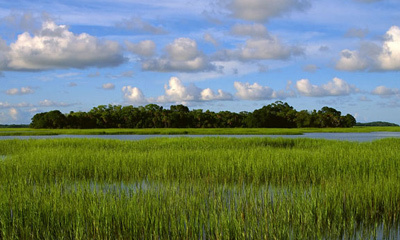 The trail offers beautiful water and marsh views along with coastal wildlife viewing. Located 5 miles west of Tillman on Hwy 119. 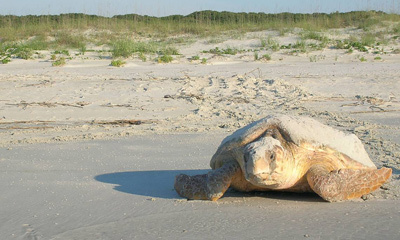 This 952-acre tract protects the endangered Gopher Tortoise. 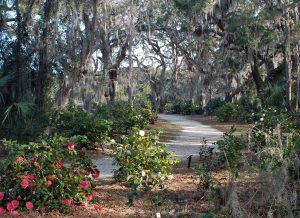 The preserve also protects more than a half mile of frontage on the Savannah River. 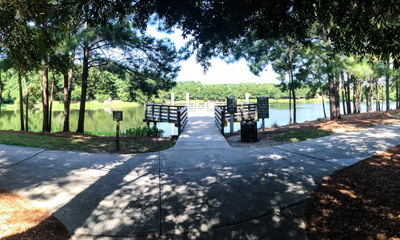 Trail access can be found just before the boat ramp at Groover Landing. Boat access only between Daufuskie Island and Savannah. 1700 acres of salt marsh, maritime forest and barrier beach. The beach is an important foraging and resting area for migratory shorebirds as well as a known nesting area for beach-nesting shorebirds. By appointment only. Regulated hunting. Near Bluffton on Hwy 278 and the Colleton River. Controlled hiking, bird watching, picnicking and camping. Regulated hunting. Check website for closings. Off Hwy. 321 bordering the historical Savannah River. The 25,000+ acres provide excellent viewing of deer, wild turkeys, bobwhite quail, gray squirrel and many types of birds. Several nature trails. 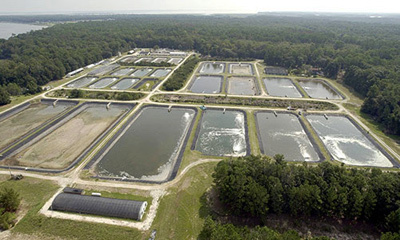 Ponds available for fishing. Regulated hunting. Colleton County. (843)871-5000. Jacksonboro, SC. This National Recreation Trail is located within the ACE Basin. Hikers can choose between a short or long looped trail. 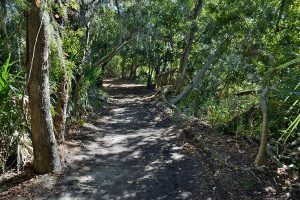 The scenic trail offers several historic features including an old phosphate operation, an old canal, rice fields, and an old railroad tram, all along the historic King’s Highway.